Overnight... Showers and thunderstorms. Some storms could be severe, with damaging winds. 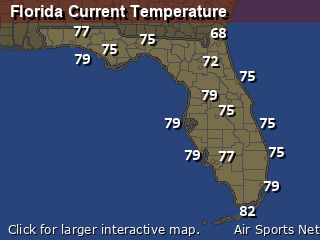 Steady temperature around 70. Southwest wind 10 to 15 mph. Chance of precipitation is 100%. New rainfall amounts between a half and three quarters of an inch possible. Friday... Mostly cloudy through mid morning, then gradual clearing, with a high near 78. 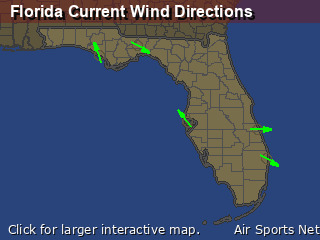 West northwest wind 10 to 15 mph. Saturday... Sunny, with a high near 77. Northeast wind around 5 mph becoming south southeast in the afternoon. Saturday Night... Mostly clear, with a low around 57. South southwest wind around 5 mph becoming calm. Wednesday Night... Mostly cloudy, with a low around 65.